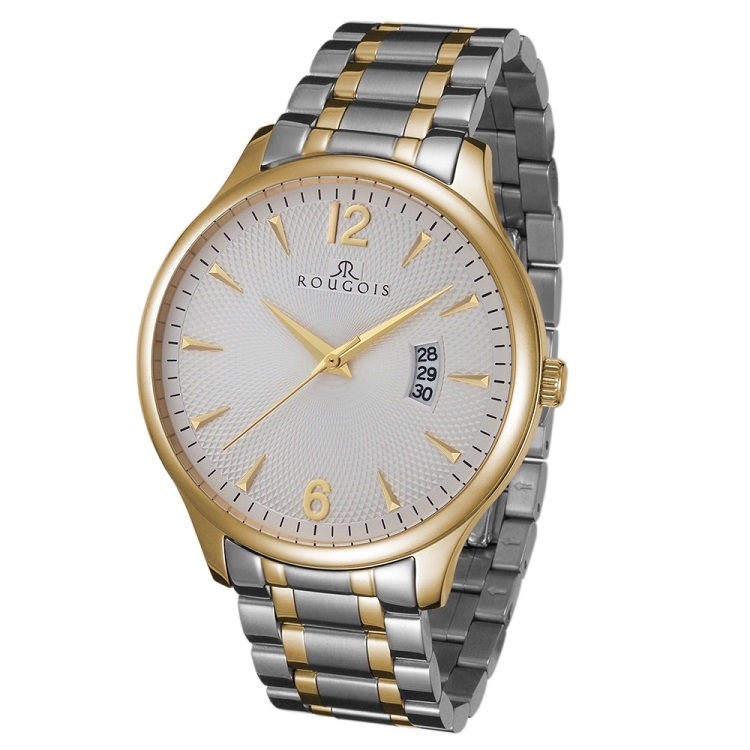 A refined and smart look, this watch has the perfect combination of silver and gold. 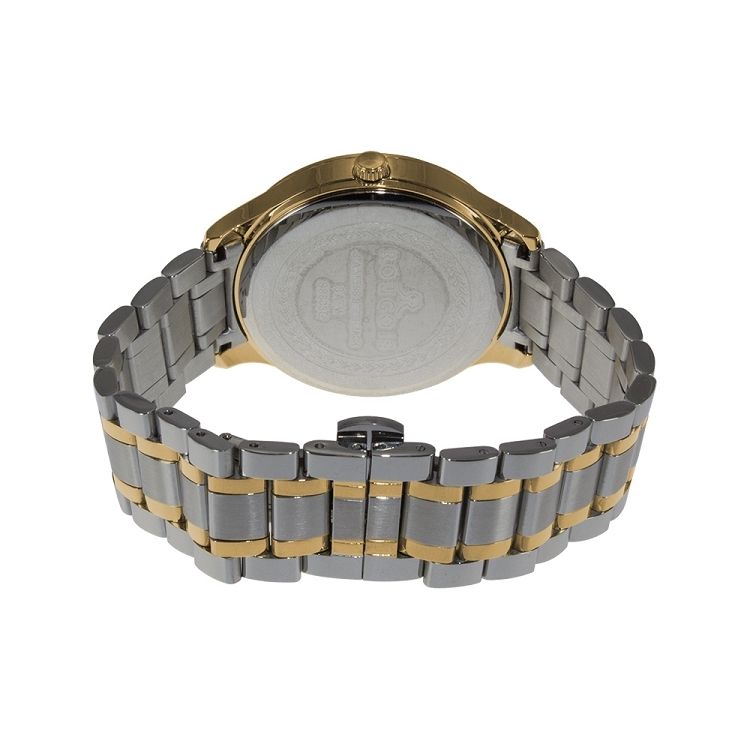 The stainless steel wristband features mostly silver-plated links with gold-tone accents creating a path to the face of the watch. 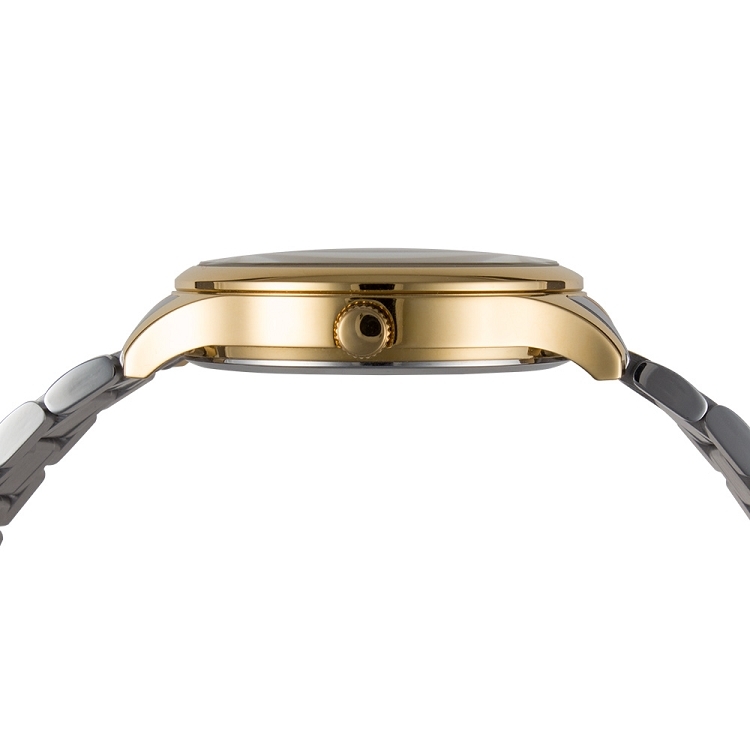 The minimalistic face is outlined in gold tone with gold modern font and number ticks. Black second and minute dash marks surround the face, which features a fading geometric white pattern. A day calendar section of the watch makes this timepiece even more functional and stylish. 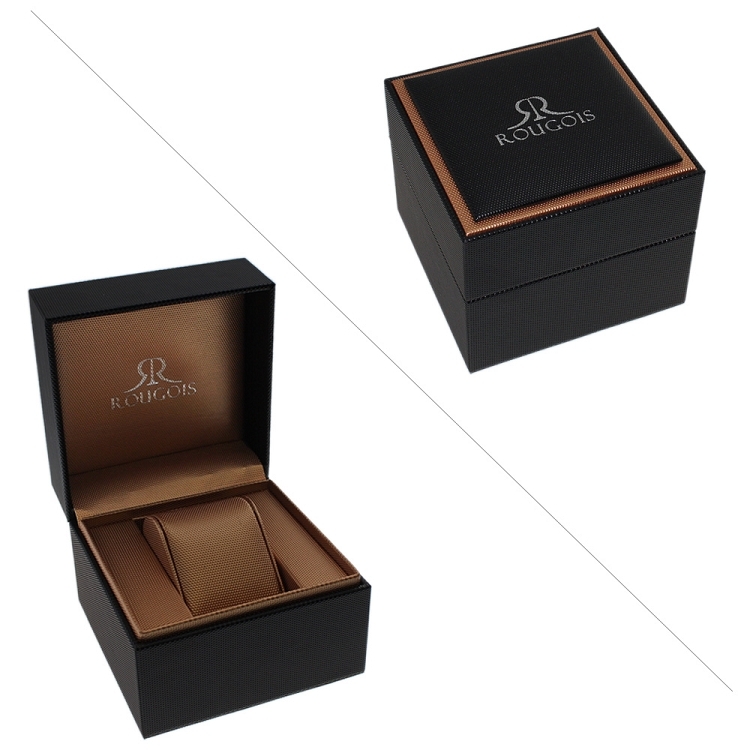 This watch provides a tasteful and refined look perfect for everyday wear.